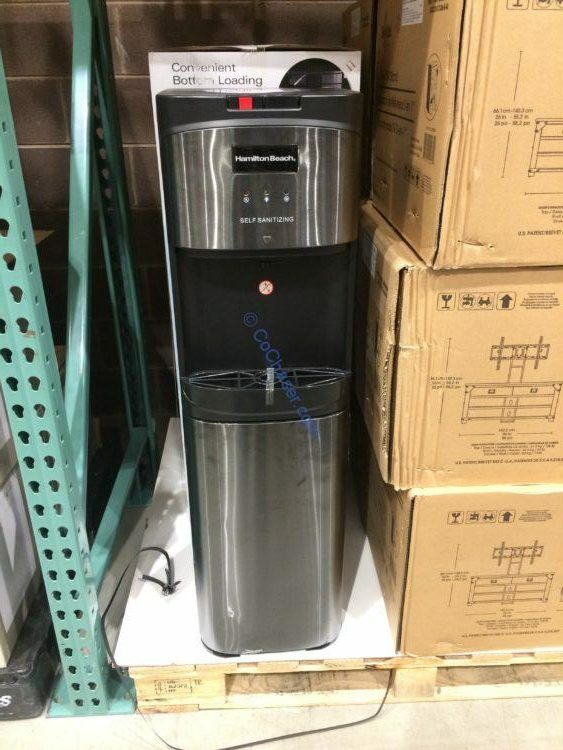 This is Hamilton Beach Stainless-Steel Self-Sanitizing Bottom-Loading Water Cooler. You can enjoy refreshingly chilled drinking water or dispense hot water that is convenient for instant coffee, tea, oatmeal, or noodles. With a sleek and modern design, this Water Cooler with black stainless-steel paneling fits perfectly into any home or office setting. The Hot-Water button is equipped with a safety lock to help prevent accidents. Dimensions: 12” W x 14.5” D x 41” H.